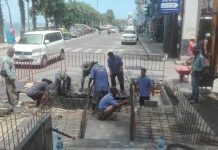 Sukhumvit Road drivers say “fixes” made to Pattaya’s Central Road intersection are causing more traffic problems than they resolve. 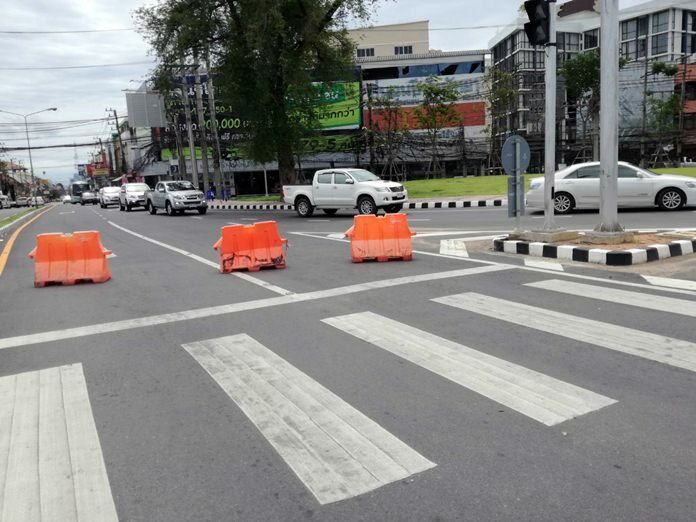 After briefly reopening the intersection to allow turns onto and off of Sukhumvit, authorities restored barriers forcing southbound drivers to make U-turns far down the road. Authorities also changed the normal traffic signal to a blinking yellow “warning” light. The result has been pileups and congestion, as uneasy drivers move through the unregulated junction. Drivers are calling on contractors with the Central Road bypass tunnel and city hall to rethink their strategy before someone gets killed.